The Chateau de Valencay has truly magnificent gardens including its famous beautiful vegetable garden. 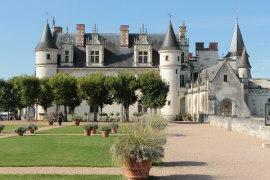 The Chateau d'Amboise is one of the most picturesque of the Loire Valley chateaux and has pretty gardens too. ...although two weeks is better than one because there is so much to see, and you will probably find you want to come back as soon as possible! There are also several towns that have castles, but aren't necessarily best known for their castles - these are included under the town name (eg Gien and Baugé). 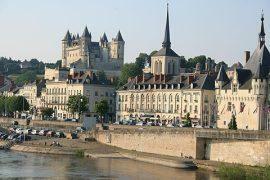 A couple of the most important towns in the Loire valley include Tours and Loches (see others listed above). Meanwhile if you are looking for something a bit less 'monumental' than great castles and cathedrals, the region also includes several villages that have been awarded the prestigious 'one of the most beautiful villages of France' classification, and each has a great deal to enjoy as you amble around enjoying the local architecture and style - see Loire valley villages. Take the time also to enjoy the countryside and the scenery along the Loire river and its tributaries (the region along the river is now a UNESCO listed heritage site), perhaps on foot, cycle or horse back. The main tributaries include the rivers Cher, Indre and Vienne and each of these has its own charm and characteristics. 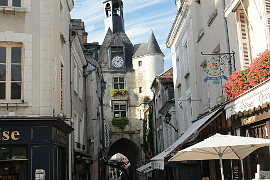 Another highlight of a visit to this part of France is the chance to enjoy the fine food and drink, especially the quality wines of the Loire Valley, and we have recommend local wines and dishes in many of the reviews - be sure to find time to relax and enjoy these local specialities, since they are just as important an attraction of the region as the great Loire Valley castles! 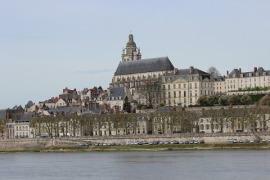 The Loire itself covers several modern day departments, although tourism authorities often like to use the names of the historical regions of France that fell in the region such as Berry and Touraine. 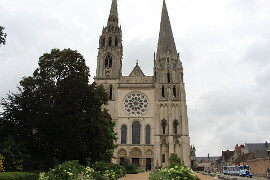 See Loire Valley geography for details.